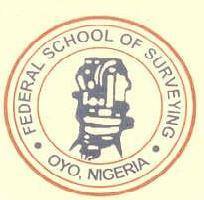 The Federal School of Surveying, Oyo [FSS, Oyo] Ordinary National Diploma [OND], Higher National Diploma [HND], Postgraduate Diploma [PGD], Pre-Postgraduate Diploma [PPGD] Merit/First Batch Admission List for 2017/2018 Academic Session. This is to inform all candidates who applied for admission into the various programmes of the Federal School of Surveying, Oyo, that the ND, HND, PPGD & PGD admission list of admitted students for the 2017/208 academic session has been published. All successfully admitted students are to commence the payment of their acceptance fees and School Fees immediately. The deadline is 14th May, 2018.